What a way to make an entrance! 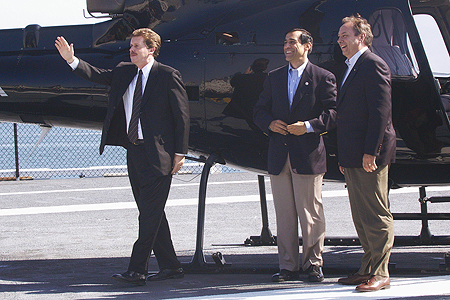 Larson flies onto the deck of the USS Midway Aircraft Museum (well, RIDING, not flying... Ivor from Corporate Helicopters did that)... along with Rep. Darrell Issa and U.S. Senate candidate Bill Jones. Hey, might as well attempt to look like a candidate! 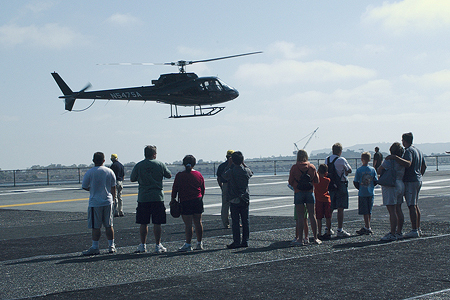 July 10, 2004, off to emcee activities on the USS Midway. 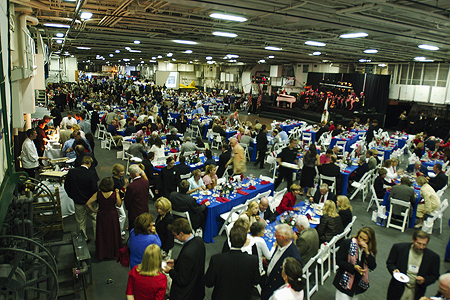 The crowd enjoying the festivities at the special event, sponsored by Fairbanks Republican Women Federated.